Why doesn't Nissan build exciting cars like these anymore? We recently drove the 2017 Maxima, and it helped us confirm that Nissan has lost its connection with the enthusiast market. The Maxima was a fine car, and we think that the Nismo division could easily come in and make it perfect, but the Nissan brand is severely lacking in fun right now. The 370Z and GT-R are both aging badly, but we do have some hope in the form of a rumored expansion of the Nismo lineup. We know that Nissan is more than capable of building exciting cars, so we have chosen five of our favorites from the brand's history. We recently featured the Nissan R390 on our list of supercars that the world has forgotten. The R390 was based on a GT1 LeMans race car and Nissan was forced to build a road-legal version because of the car's racing class. Nissan only built a single road-going version that is currently sitting in the company's facility in Japan. The R390 has a twin-turbo 3.5-liter V8 rated at 550 hp. The transmission was a six-speed manual, which sent power to the rear wheels. The car could hit 60 mph in just 3.4 seconds and complete the quarter-mile in 11.4 seconds. Unfortunately, since there is only one in the world, we will probably never have the chance to test Nissan's claim that this car could hit 220 mph. Nissan built countless versions of the Skyline, but we had to limit ourselves to just one, the R34 GT-R. Its legendary performance and staring role in the Fast and Furious franchise makes this everyone's favorite Godzilla. The R34 GT-R was the final GT-R model to come badged as a Skyline. The car was powered by a 2.6-liter RB26 inline-six engine with two turbochargers that produced 276 hp going out to all four wheels. Even though this car was bigger than the R32 and R33, it was a beast in all of its many versions. This car was never sold in the US, but will become federally legal to import in 2024. Unfortunately, the R34 is becoming a collectible and can now cost over $100,000 in the US. In 2008, Nissan brought the GT-R to the US for the first time, dropping the Skyline name in the process. 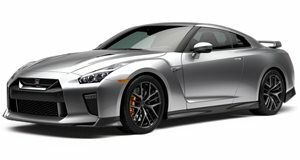 The R35 was just revised and now packs 565 hp from its 3.8-liter twin-turbo V6 with the most powerful Nismo version making 600 hp. Our favorite version of the R35 is the recently refreshed model that has a much nicer interior than the original car from 2008. The GT-R was a world-beater when it first came out, but has since lost most of its relevancy. We may not be the biggest fans of the current GT-R, but it is still one of the best cars that Nissan has ever built. Depending on your market, you may know this car as the Nissan Silvia or Nissan 240SX. The US received a version of the S13 and S14 Silvia that was badged as the 240SX. The inexpensive RWD platform was a dream for drifters and the 2.0-liter turbocharged engine was a dream for tuners. The US never received a version of the S15 Silvia, which is our favorite. This was the car that was the "Mona Lisa" in Fast and Furious Tokyo Drift. The SR20DET engine in the S15 produced 250 hp, which is a healthy amount even by today's standards. The S15 was sold from 1999 to 2002, so they won't be federally legal until the same year as the R34 GT-R. The Nissan 300ZX is one of our favorite Nissan models of all time, but many people have forgotten about this '90s gem. The Z32 model was sold from 1990 to 2000 and cost over $30,000 when new. The 300ZX had a ton of advanced features for the time including an automatic climate control system, and steering wheel mounted controls. The most powerful 300ZX was powered by a 3.0-liter twin-turbo V6 with 300 hp and 283 lb-ft of torque. The base V6 produced 222 hp and 198 lb-ft of torque, which is not bad. 0-60 mph happened in 5 or 6 seconds depending on the model. The 300ZX famously donated its headlights to the Lamborghini Diablo, which is pretty cool.